"This book is only for people who like joy, absurdity, passion, genius, dry wit, youthful folly, amusing historical arcana, or telescopes." "A madcap, ingenious fable which booms with endless jokes and riffs about the nature of consciousness, The Organs of Sense is yet another dazzling, high-wire performance from our modern-day Kleist, Adam Ehrlich Sachs." "This is the funniest and most original novel I've read in a very long time, a madcap blend of philosophical malpractice and byzantine palace intrigue. It's like what might happen if Helen DeWitt attempted a revisionist seventeenth-century historical novel, or if W. G. Sebald had gone insane. In other words, there's nothing else like it. Read it and see!" 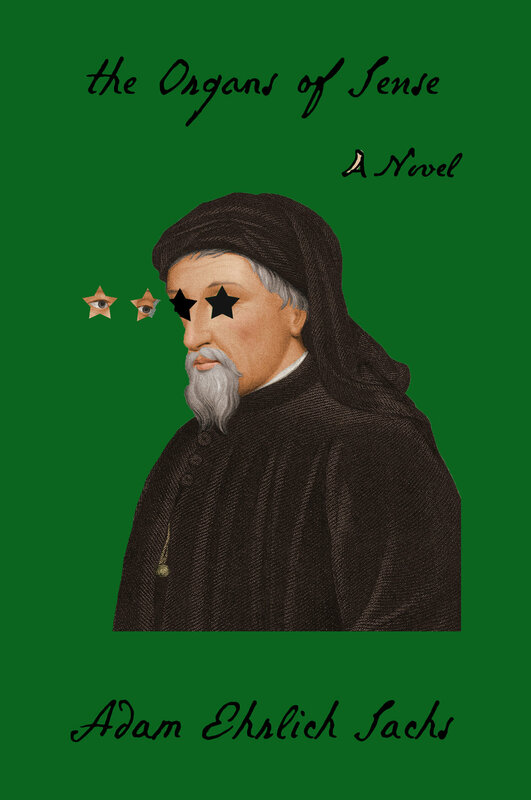 "At once erudite and comic, The Organs of Sense is an absurd and beautifully finessed pseudo-historical novel which deftly circles around a dark core." "Adam Ehrlich Sachs is one of the most intelligent writers in America, and one of the funniest. His fiction is both deeply cerebral and deeply human—and deeply human because it’s deeply cerebral. Inherited Disorders has proven to be one of the most lasting literary pleasures of the decade for me, and The Organs of Sense is every bit as sharp and surprising. The bottom line is this: over the last few years, his work has offered me the zing of true and exhilarating literary exploration in a way that few other books have done."